How small firms stay on top of their invoicing has changed drastically over the past few years. Companies are gradually moving to the cloud to get benefits of cloud accounting and to help streamline their processes. However, the choice of cloud service provider can largely determine the performance of any company. So, it’s important to partner with an experienced cloud provider. Security is one of the major concerns for all businesses and when it comes to accounting, it is sure to be a high priority concern. Most cloud providers offer high-level security features. However, most of the time it’s not the lack of security features but the lack of awareness, responsiveness and best practices leading to security breaches. Ace Cloud Hosting understands these concerns and thus provides high-level security for all its clients. To ensure complete safety, the servers reside within Tier III/Tier IV data centers. Ace Cloud Hosting also provides various security features such as 24*7 closed-circuit video monitoring, biometric scanners, onsite security staff and video surveillance. Technical expertise is important in selecting the cloud provider for your business as you are sure to have issues when moving to the cloud. Thus, having an experienced and friendly support team is an important factor. With Ace Cloud Hosting, you get skilled and experienced professionals, available round the clock to help you with issues that may occur with hosting or migration of QuickBooks hosting service. Your cloud hosting provider should be able to provide you regular backup to ensure that the critical data is not lost because of system failure or any natural calamity. We at Ace Cloud Hosting, maintain multiple copies of client data to remote servers. This makes it easy to recover your important data from replication of multiple servers. ACH ensures that the data is easily recoverable until the time of end checkpoint. Because of increasing competition, there is not much difference in the pricing model of different cloud providers. However, we provide a transparent pricing structure without any hidden pricing. Clients will be charged according to the number of users and the type of application. 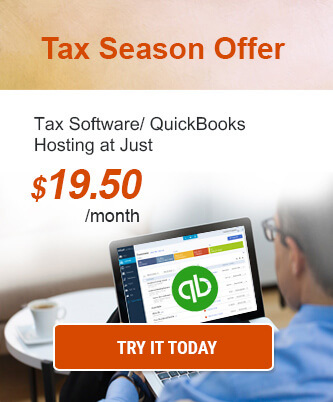 You can check prices for QuickBooks hosting or other application hosting here. Before choosing a cloud provider, it is important to take out some time and see the reputation of the cloud provider in the market. Check out how their past and existing clients rate them. 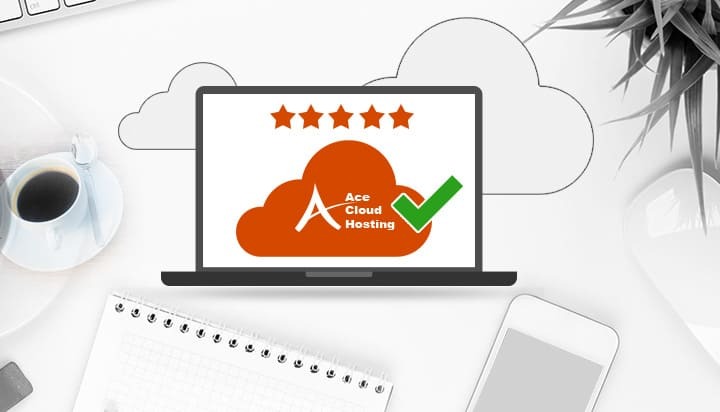 Ace Cloud Hosting has been reviewed by our customers and you can check reviews on independent rating platforms, such as – Serchen, or social media platforms, such as – Facebook, about the quality of services that we offer. Performance of the servers may restrict access to your application data. Consequently, you will have to contact the customer support to get things up and running. Such a situation can be avoided by ensuring that the cloud service provides has technically advanced servers that offer maximum uptime assurance. Intuit thoroughly inspects the cloud provider and their capabilities to ensure that the application is hosted in a secure environment. And If you want to host QuickBooks on cloud, selecting an Intuit authorized cloud provider should be on top of your priority list. 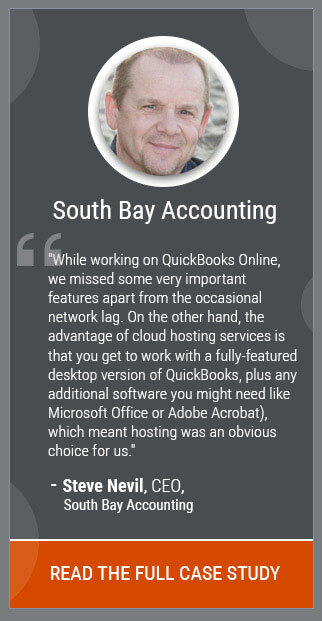 Ace Cloud Hosting is not just Intuit authorized QuickBooks hosting provider, but also a QuickBooks Solution Provider. Thus, you get additional benefits with Ace, such as easy software license management, easy upgrades and access to Intuit technical support. When it comes to selecting the best cloud hosting provider, here are some things you must consider and ask the cloud provider before making a switch. User Favorite Award winner as the best cloud application hosting provider in Accountex USA. Frustrated With Your Application Hosting Provider? Switch To Ace Cloud Hosting Top 7 Benefits of Hosted QuickBooks with Ace Cloud Hosting Ace Cloud Hosting Can Pave the Path of Success for Your Accounting Team! Hey, do you provide any offers? I have always been an Ace Cloud Hosting fan. Being an Inuit authorized host, their unmatchable services are best and that too at affordable rates. I was looking for a provider to host my QuickBooks application and I think this will help me. Thanks for sharing this Renuka.